Samsung tablets do not infringe on a registered Apple design because "they are not as cool" and the Galaxy Tablets "do not have the same understated and extreme simplicity which is possessed by the Apple design," a U.K. judge ruled Monday. Samsung sought a declaration that three of its tablet computers--the Galaxy Tab 10.1, Galaxy Tab 8.9, and Galaxy Tab 7.7--do not infringe on Apple's registered design that describes the shape of the iPad. The Samsung tablets and the iPad had to be seen as members of the same family, rather then the same devices, Judge Colin Birss said in his ruling. "Samsung products are very thin, almost insubstantial members of that family with unusual details on the back. They do not have the same understated and extreme simplicity which is possessed by the Apple design. They are not as cool. 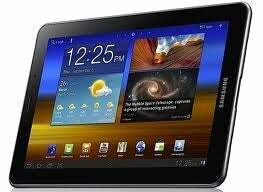 The overall impression produced is different," and therefore Samsung tablets do not infringe on the Apple design patent, Birss concluded. The Galaxy tablets are very similar to that Apple family of design, using the same screen with a flat glass plate and a thin rim with a plain border under the glass. Neither Apple nor Samsung designs have indicator lights or buttons on the front, or any obvious switches or fittings on the other surfaces, he said. While Samsung uses some subtle buttons on the edges, they do not contribute to the overall design impression. There are, however, two major differences between Apple's and Samsung's tablets, Judge Birrs found. "The most important difference between the Samsung Galaxy tablets and the Apple design is the thinness of the Galaxy tablets. The next most significant difference is the detailing on the back of each tablet," the judge wrote.